“T” also known as Tanisha Groomes was awarded her tenth yellow jersey today for fabulous play in the world of outdoor handball. WPH gives a yellow, as a trophy of sorts, to pro winners in the men and the women’s elite circles. “It feels good to reach my 10th jersey,” claims Groomes, our current number one ranked 3 Wall big ball women’s points leader. “Nice to have something that shows my number of achievements.” Also receiving their tenth, in the WPH inaugural ceremony, Samzon Hernandez, our current #1 big ball men’s cup leader; Luis Moreno, the indoor small ball 4 wall #1 ranked pro, Tracy Davis, multiple code pro stop champ and last year’s Vegas 3WB Women’s Champ. 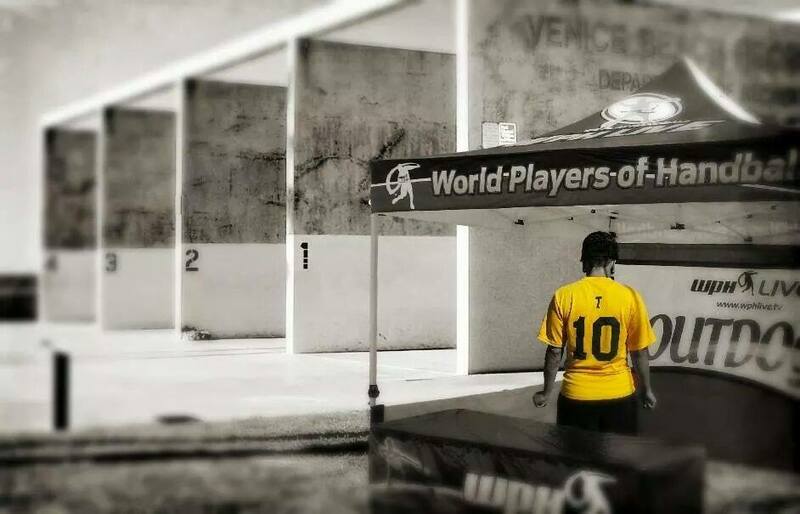 Each mentioned player will be featured in Las Vegas September 10th-14th, for the WPH/WOR 3WallBall Outdoor World Championships as titles will be defended and fans will be entertained! You can play too and earn your yellow. Entry deadline is September 5th.